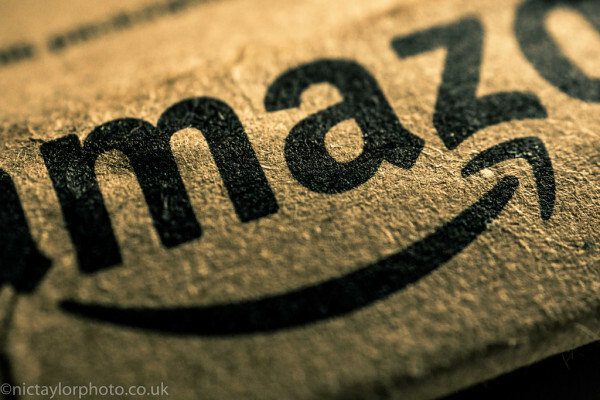 How can we apply Amazon’s mission to the development of learning solutions? I like to wear what I call my “learner advocate hat” as an instructional designer. I believe that the learner should be at the forefront of learning design. That sounds like a no-brainer, but too often I see learning solutions (and have been required to design them myself!) in which it’s obvious the learner was not the primary consideration. Too often we design learning solutions because we perceive a need for them and we haven’t (a) made an observation that validates that need or (b) surveyed or assessed our target audience to gauge their motivation to learn about a topic. Wow! With this stated mission, it’s no wonder Amazon is one of the most successful companies on the planet. 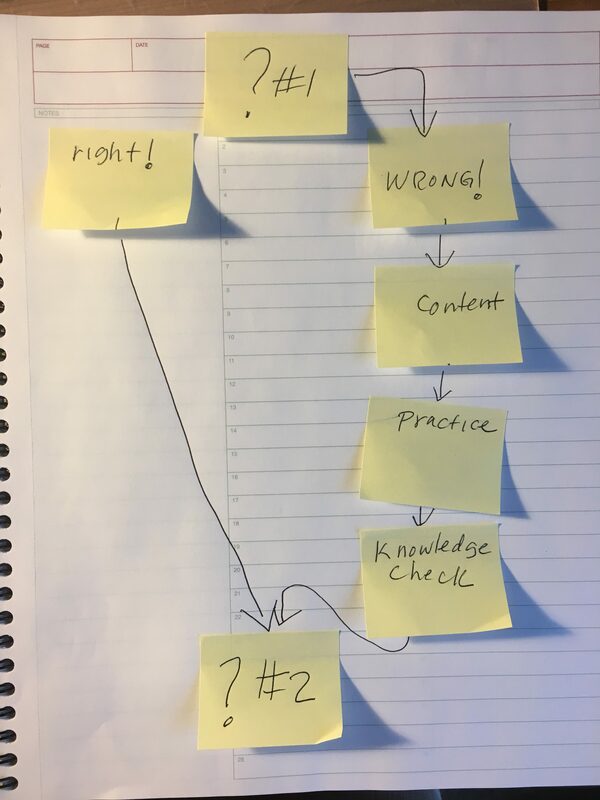 In my dream, just as we consumers are driven to shop at Amazon, instructional designers would develop solutions that keep learners coming back for more. #1. Design the most learner-centric training you can. Be obsessed with making YOUR customers happy, like Amazon is. And by customers, I mean the end users … the learners. Sure, someone else may be footing the bill for what learners too often have to suffer through, but it’s up to us, as instructional designers, to advocate for learners and eliminate their suffering. Breathe life into your learners by breathing life into your learning solutions! You can do this with a thorough front-end analysis and by asking the right questions to learn as much as you can about your target audience. Then keep what you’ve learned in mind as you design and develop the solution. #2. Personalize it. Recommend learning solutions based on profile, preferences, tracking, and ratings. If you have shopped on Amazon (and, really, who hasn’t? ), you know that the store is continually customizing your experience. The interface shows you comparable products, who bought what, what you might want to buy next, how people rated the products and whether they recommend them, and the list goes on and on. What if our learning management systems did a similar thing? What if learners could rate the courseware and recommend it (or not) to others? I bet there would be a trend toward better design if learners were offered a public voice, as they are with products. I would be up for that level of accountability for my learning solutions. How about you? #3. Have what learners need when they need it. Amazon’s website is similar to just-in-time learning. I can think of anything (anything!) and probably find it on Amazon. If I have Amazon Prime, I can have it quickly and with perks. (I won’t get into the rewards program that is Prime, but it warrants further consideration as inspiration.) Not only can I search for and find almost anything, the site is smart enough to make recommendations and customize my interface and my shopping experience. What if learners could go to their learning portal, and the LMS would customize their experience to the degree that Amazon does? What if, on top of that, the learner could (and would want to) search for other training of interest? I have a dream. Shauna Vaughan joined SweetRush in November 2014 as a lead instructional designer, and we are thrilled to add her voice and experience to the team. Shauna is excited to push the envelope on learner-centric experiences in collaboration with the SweetRush team and our clients. You can find Shauna on LinkedIn and Twitter—she would love to connect with you! If you would like to learn more about SweetRush’s instructional design approach, check out our page on Effective Learning Techniques. Photo Credit: Nic Taylor, Flickcr.com Creative Commons. Shauna – I like your post! Thank you for sharing your creative viewpoint on learning. I think you do a good job providing a framework for what is evolving as a missing and needed learning “mode” for our younger generations of learners. Let’s face it, when we hold a class or send people to an elearning course, we are facing a group of people that grew up on Google and Amazon. They are used to driving their own learning path in pursuit of knowledge or answers to their questions. Nuerologically, this has changed how they learn and how they think. Our classroom and course model is not working. To that end, I was wondering if I could get your permission to quote you during a presentation I’m delivering at an upcoming conference. (http://www.fintraininginnovations.com/index.html) During this two day conference, we are holding a number of 15 minute “innovation” discussions that we’re calling Ideation Xchanges. I am moderating these sessions and I plan to deliver one of them. Your concept of “Amazon-ifying” training fits into what I want to say. I had my own words for this concept, but now that I’ve read your ‘terminology’ I don’t know that I can call it anything else. 🙂 Anyhow, would you be okay if I present in a slide or two your concept to the group? I will definitely credit you and Sweetrush to the concept. Thank you for your kind words. I love your reference to the neurological changes that have resulted from how we can (and do) acquire knowledge these days. The L&D field definitely has seen some challenges with this change in cognition. The science of learning is so fun! I am humbled that you want to reference my article in your presentation, and I would be honored if you would do so. It sounds like a great conference. Nice concept of short, 15-minute snippets. Please let me know if I can do anything else to assist you with your presentation. And good luck! This was an amazing read! I loved the way you drew a comparison between Amazon, as a customer-centric website and the need of producing more and more “learner-centric” courses. I am almost in the beginning of my career as an Instructional Designer but I am already a strong advocate of developing “learner-centric” design and ensuring that all our learning interventions are fun and engaging “experiences” rather than forcing our learners through boring and lengthy training programs. These days I am focusing on learning more about “Learning Experience Design” and “Adaptive Learning” but cannot really find much on the Internet. When you say “personalize it”, how do you think we as Instructional Designers can ensure some level of personalization in our courses? I’d love to hear from you on this. I also favor microlearning over traditional lengthy eLearning programs. Just like we cannot gulp a large pizza in one sitting, our learners cannot and should not be forced through boring and lengthy trainings. We should allow them to pull information when they need it and empower our learners to take charge of their work while providing support through coaching. mentoring and informal learning. We are definitely shifting from “courses” to “resources”. Thank you for your enthusiastic words — it is fantastic that you have adopted a “learner-centric” view. I can tell you from the other end of a career in instructional design that being learner-centric will really help your work be successful, because understanding audience is the bedrock that great learning is built on. 1. Let the learner decide what they need to learn. You know those learning objectives that everyone says are so important for the learner? Well, this is why. Be sure they are specific, measurable and focused. That, plus content that is “unlocked” and an be taken in any order allows the learner to determine for herself what needs to be taken and what can be passed by. 2. Or, break your content into small pieces and describe what will be learned in each. You might want to describe learning paths that assemble the content to help the learner accomplish goals. I think it is important to include at least one (and maybe only one) performance objective in each little piece. Those performance objectives might need supporting knowledge objectives as well. There are programmatic approaches, where content is offered based on the learner’s history of the system, but that probably will require the help of your friendly web programmer or the capabilities of your LMS. Hopefully these ideas are ones that almost any learning project can accommodate.